Srinagar, Dec 4 : 30.3 percent electorate turn out to cast vote in the phase-VII of the nine-phased Panchayat elections in Kashmir Valley on Tuesday. North Kashmir’s Kupwara recorded the highest turnout of 45 percent while Anantnag, Budgam, and Baramulla recorded less than 18 percent voting. Budgam recorded lowest 13.1 percent, Anantnag 15.5 percent while Baramulla saw 17.8 percent voting, the election officials said. Ganderbal, the other central district, saw a voter turnout of 30.9 percent voting. Jammu division recorded 84.8 percent polling and the Jammu and Kashmir as a whole saw 75.3 percent turnout, the officials added. In Jammu division, Ramban recorded 83%, Reasi 86.7%, Samba 85.5%, Jammu 83.7%, Rajouri 84% while Poonch saw the highest turnout of 86.6%. The voting began at 8 am at 2,714 polling stations – 576 in Kashmir division and 2,138 in Jammu division, they said. The officials said 892 polling stations were categorized as “hypersensitive” in this phase, including 428 in Kashmir division and 464 in Jammu division. They said 5,575 candidates are in the fray for 341 sarpanch and 1,798 panch seats, while 85 sarpanches and 912 panches have been elected unopposed in this phase. An electorate of 4,75,865 were eligible to vote for sarpanch constituencies and 3,45,880 for panch constituencies, the officials said. Phase-I of Panchayat Polls held on 17 November 2018, 74.1% polling was recorded across J&K including 64.5% in Kashmir division and 79.4% in Jammu division. In the Phase-II of Panchayat Polls held on 20 November 2018, overall 71.1% polling was witnessed across the State with an 80.4% polling in Jammu division and 52.2% in Kashmir division. He said in Phase-III, the State witnessed a poll percentage of 75.2% including 55.7% in Kashmir division and 83.0% in Jammu division. In Phase-IV, he said, JK witnessed 71.3% voting with 82.4% electors exercising their franchise in Jammu division and 32.3% in Kashmir division. In the Phase-V of Panchayat Polls overall poll percentage of 71.1% was witnessed across the State with 85.2% polling in Jammu division and 33.7% in Kashmir division. 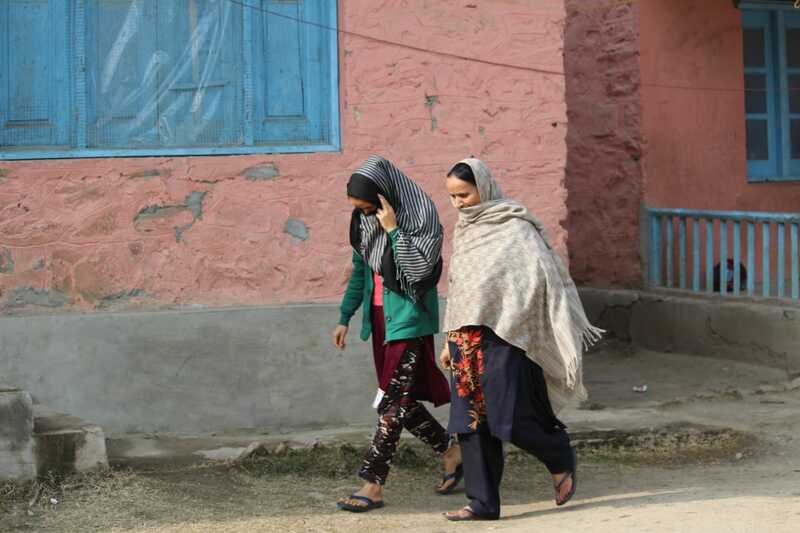 In the Phase-VI of Panchayat Polls overall poll percentage of 76.9% was recorded across J&K including 17.3% in Kashmir division and 84.6% in Jammu division.